With Pennsylvania on the precipice of becoming the fourth US state to approve and regulate online poker, along with other forms of online gambling, the question now looming for most onlookers is: What does this mean for the US online-poker market as a whole? The answer is very good: Pennsylvania is likely to be the linchpin in this slowly progressing movement, triggering several more states to join in the online fun over the next couple of years. 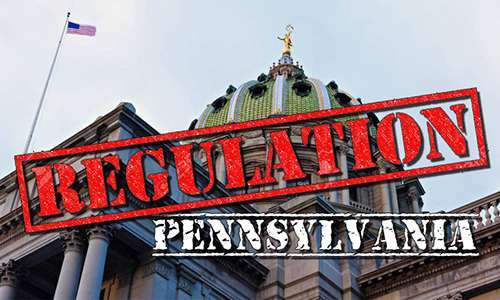 In as much as the first three regulated states — Nevada, Delaware, and New Jersey — amounted to the initial wave of regulated US online poker, then Pennsylvania will almost certainly trigger a similar second wave. That’s with the caveat that Pennsylvania Governor Tom Wolf will sign the approved budget bill that contains the online-poker approval in the near future. Since the omnibus budget bill (H 271) is a compromise bill and still highly contentious in some quarters, there’s always the chance that Wolf could veto it. The odds are strongly against a Wolf veto, however, and his signature is expected at some point in the next couple of weeks. We’ve already reported on the specifics of the Pennsylvania bill, which includes a generalized and relatively widespread gambling expansion in multiple areas. Here, though, we’re focusing on the impact of Pennsylvania’s pending approval on similar processes occurring in other US states. At the top of the list: New York State. New York’s legislature has already considered online poker and other forms of online gambling several times over the past few years. However, New York was the focal point for the legal battle over daily fantasy sports (DFS), and the end result of that was that the state was virtually forced to legalize DFS first. It was a high-profile battle orchestrated to a certain extent by New York’s powerful attorney general, Eric T. Schneiderman. However, in the process of extracting a legal settlement from leading DFS sites DraftKings and FanDuel, the online-poker debate was shoved aside. Look for that to change soon. While there are still some points of conflict — notably the remaining anti-gambling factions and New York State’s tribal interests, which have hamstrung the process out west in California — the forces in favor of online-gambling approval in New York are stronger than ever. I was happily wrong regarding Pennsylvania; I thought it would be the next state to sign on, but that it wouldn’t happen until 2018. I think New York will now approve similar online-gambling regulatory legislation as part of the state’s 2018 or 2019 budget battle. New York’s budget needs are as dire as most of its neighbors, and now three of those, two being populous states New Jersey and Pennsylvania, will offer regulated online gaming. New York will follow, particularly since New Jersey can demonstrate positive revenue numbers from the activity. From there, other states will follow. Illinois faces even more dire budget difficulties than New York, and it’s the best bet among all other US states to become regulated jurisdiction number six. After that, it’s more of a crapshoot, but other states will follow. Perhaps Iowa, especially if Illinois jumps in. Possibly Michigan, or Massachusetts, or Maryland. Maybe even Mississippi, the most pro-gambling state of America’s South. It’s all going to be good news for the US-based industry, top to bottom. Most of us can’t wait for our expanded roles, whatever they may be.